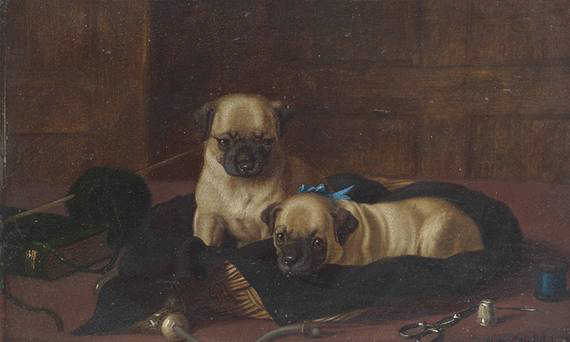 A miniature oil on panel of two Pugs naughtily caught at play in their mistresses sewing basket by Horatio Henry Couldery (1832 - 1893). Signed bottom right 'H.H. Couldery' English, circa 1870.